SOLIDWORKS® PCB—Powered by Altium®—is a mechatronics/electronics design and mechanical collaboration solution jointly developed by Dassault Systèmes SolidWorks Corporation and Altium Limited, both leaders in the development of electronic and mechanical design solutions. 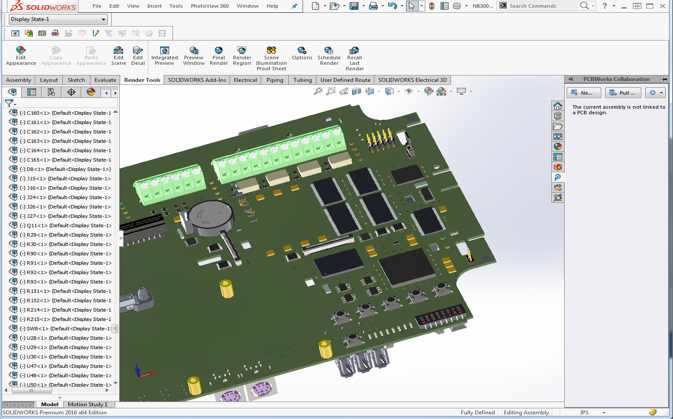 SOLIDWORKS PCB is built on the industry-proven PCB design technology of Altium Designer and combines a first-of-its-kind, integrated electro-mechanical collaboration solution for electronic product co-design that is intelligently integrated with the SOLIDWORKS mechanical design solution. 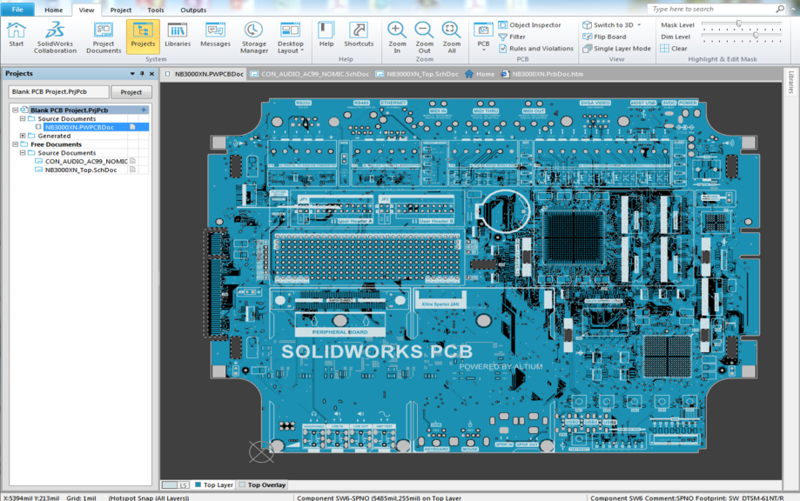 SOLIDWORKS PCB combines the best electronics and PCB design technology with an easy-to-use interface that provides the productivity needed to get electronic circuits and PCBs designed quickly and efficiently. There is no compromise on the core design focus with a powerful set of PCB design applications, capabilities, and features, which easily meet the demands of today’s mainstream mechatronic/electronic product designs. SOLIDWORKS PCB includes some of the best and latest electronics and design technologies derived from Altium’s 25+ years of experience. 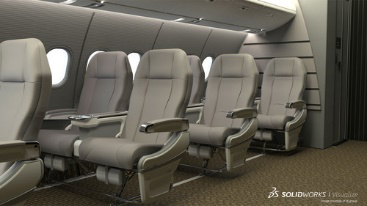 ECAD-MCAD Design Collaboration: Unmatched ECADMCAD integration and collaboration with SOLIDWORKS that unifies design data and pushes changes to both sides of the design project. PCB Design Engine: Industry-proven, Altium-based design engine for layout and routing of printed circuit boards. Modern Schematic Entry: Full-featured Altium-based schematic capture tool with extensive drafting capabilities, libraries, and electrical rules. Streamlined Interface: Intuitive and easy-to-use interface—inspired by SOLIDWORKS—with a consistent editor and use-model between schematic capture and board layout. 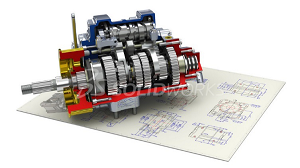 Managed ECAD-MCAD ECO Process: A managed Engineering Change Order (ECO) process to and from SOLIDWORKS PCB and SOLIDWORKS 3D CAD takes care of design changes including board shape, component placement, mounting holes, and cutouts which keeps designs in sync. 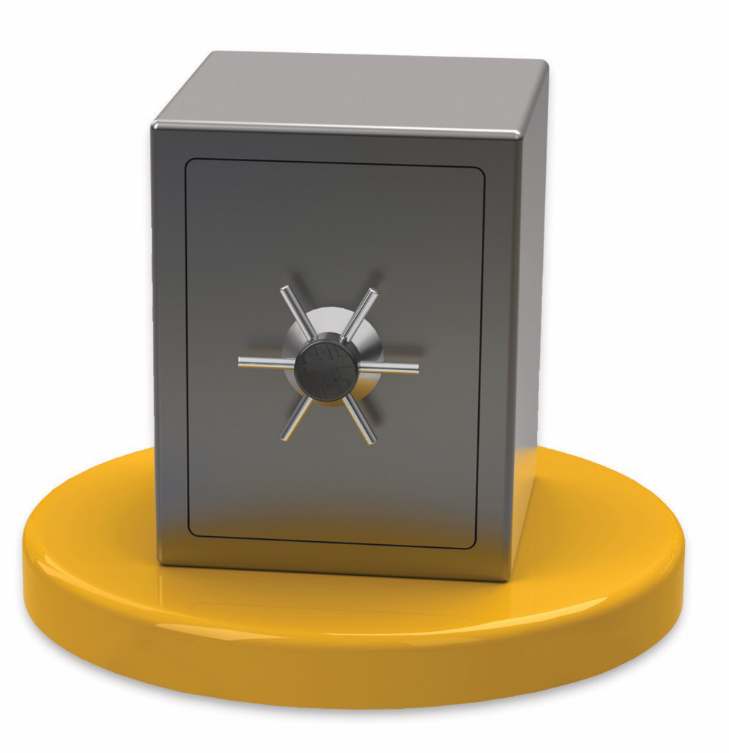 Real-Time 3D Clearance Checking: Visualize the PCB with components inside of the mechanical enclosure to reduce costly prototypes by ensuring that the board and components fit the mechanical enclosures with real-time 3D clearance checking. 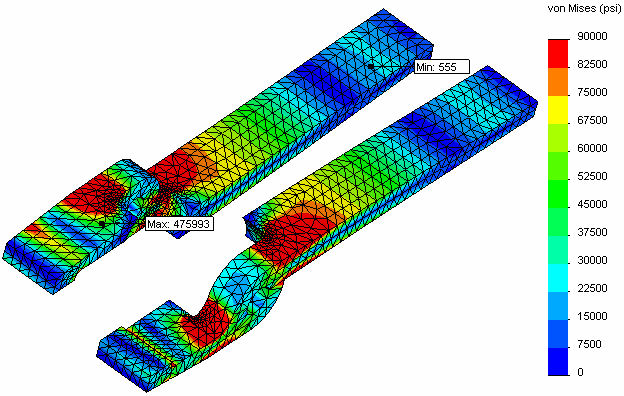 Mixed-Mode SPICE 3f5 Simulator: Simulate and analyze analog and mixed-signal circuits from within the schematic editor to make design trade-offs and avoid unnecessary design revisions by performing functional validation on designs prior to layout or manufacturing.